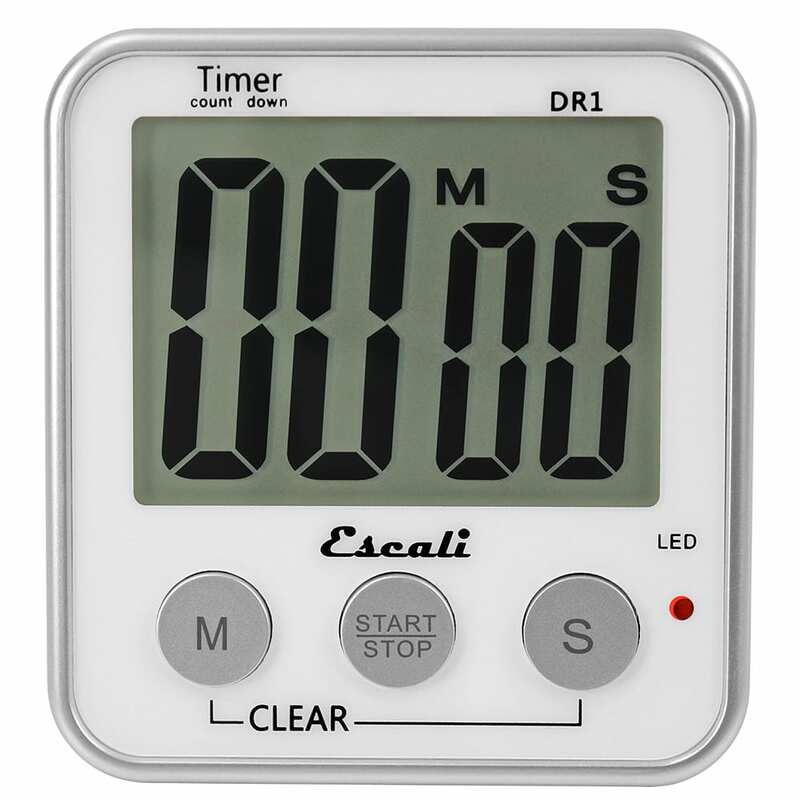 The San Jamar TMDGXL Escali digital timer can count up and down and has a maximum time of 99 minutes and 59 seconds. 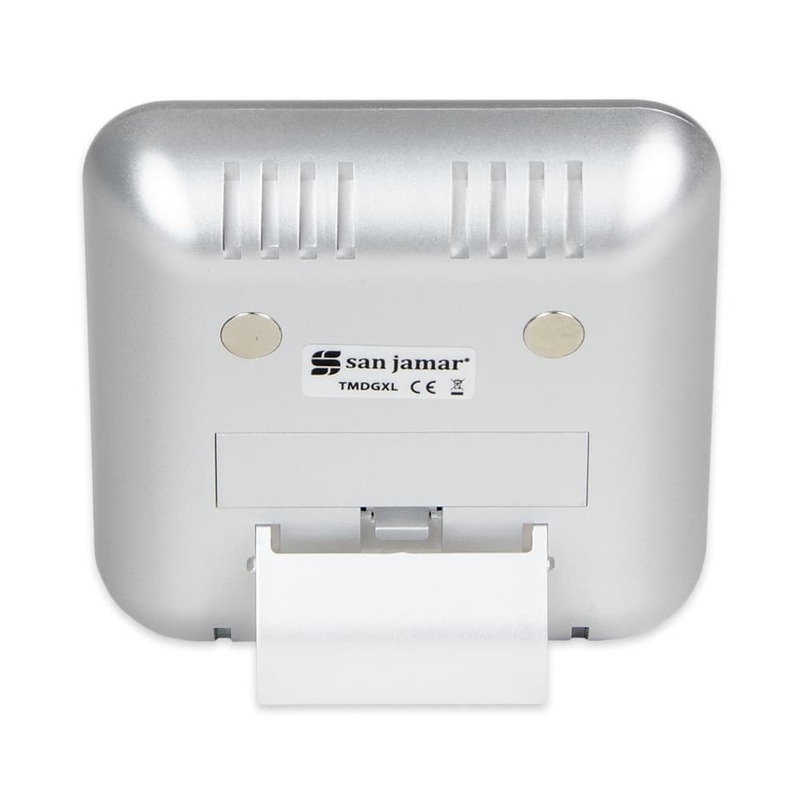 When the time is up, a flashing LED and audible alarm notify users. 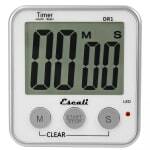 The previous setting can be recalled on the timer, making it easy to use for repeated cycles. 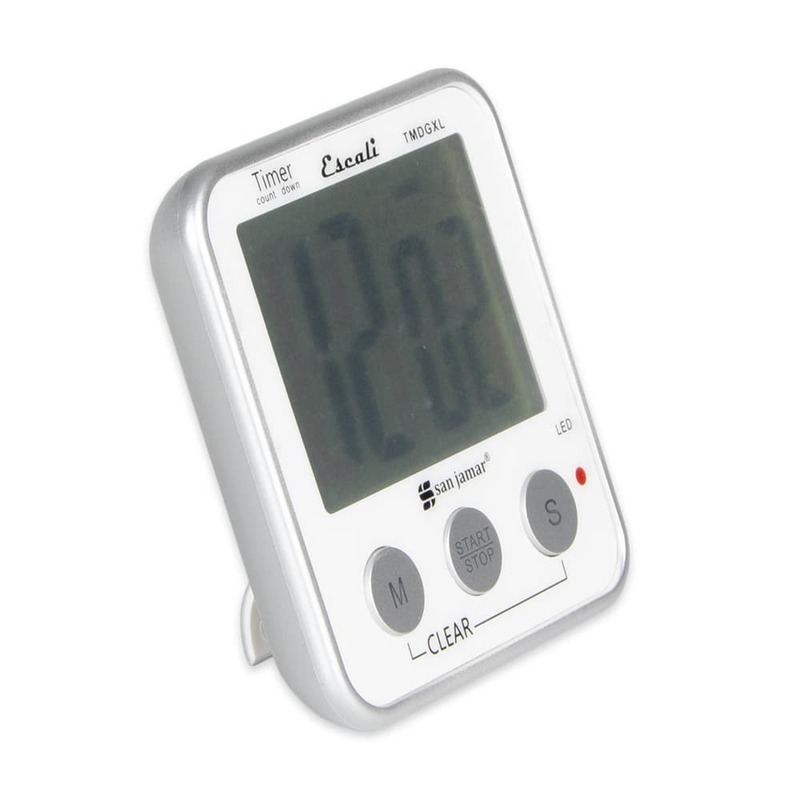 When it is not in use, the timer functions as a clock. It has a magnetic back for attachment to metal equipment and a stand for freestanding setup on countertops. 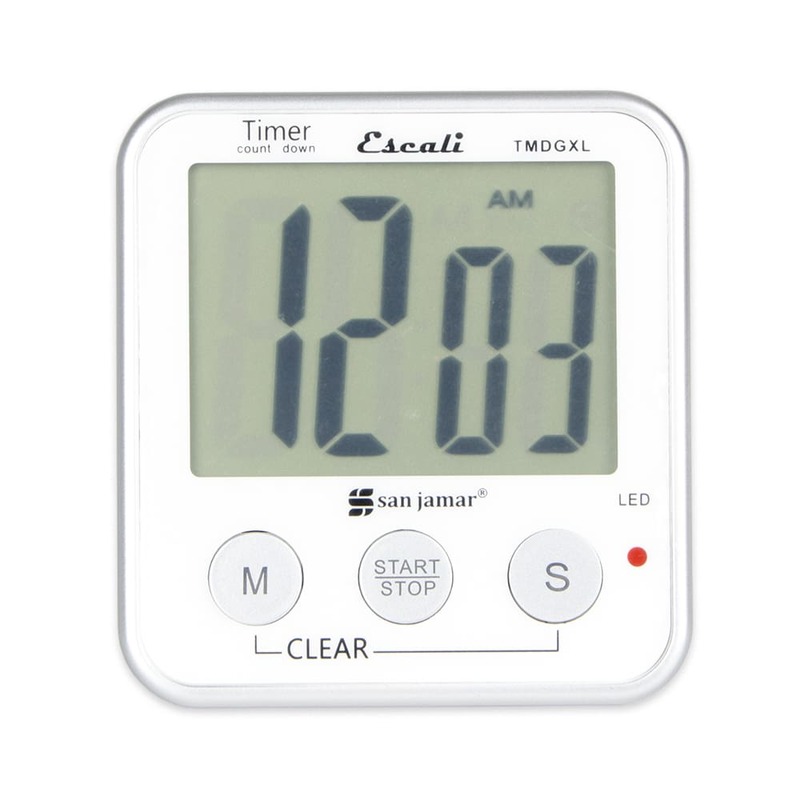 Batteries are included with this San Jamar TMDGXL Escali digital timer. Maximum time: 99 min. 59 sec.